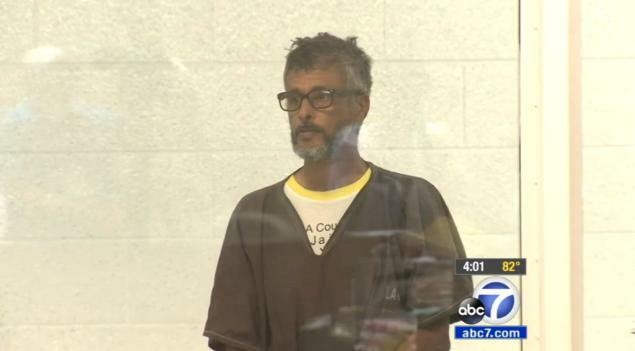 Lancaster, CA – A 61-year-old man and his 50-year-old girlfriend have been charged with torture and other charges after the man’s sister was found locked in a storage shed in Lancaster, California. Elias Abdurahman and Sara Kebede Tadesse face one count each of false imprisonment by violence; torture; assault with a deadly weapon, a cane; and dependent adult abuse with special allegations that they personally inflicted great bodily injury, according to the Los Angeles County District Attorney’s Office announced. Tadesse appeared in an Antelope Valley courtroom Monday, but her arraignment was postponed to Oct. 20, said Ricardo Santiago of the District Attorney’s Office. Tadesse’s bail was set at more than $1.1 million, and a protective order was issued barring her from having any contact with the victim, Santiago added. Elias Abdurahman is scheduled to be arraigned Tuesday, according to Santiago. The case stems from a Sept. 22 incident when sheriff’s deputies investigating reports of screaming found 54-year-old Samia Abdurahman locked in a shed in the backyard of a house on the 45000 block of East 2nd Street, the prosecutor said. The victim was reportedly frail, malnourished and had fresh and old wounds, the prosecutor added. The couple assaulted Samia with a cane and tortured her “for the purpose of revenge, extortion, persuasion and for a sadistic purpose,” the criminal complaint alleges. A neighbor who wanted to remain anonymous said police had been called twice to the home before the couple’s arrest. “I kind of had some suspicions that something was going on with the elderly lady that lives there, but I never really did anything about it. My husband just said, ‘mind our own business,’” the neighbor said. “[The victim] was constantly covered in bruises or bandages and my husband did approach her and ask her if she was OK, if there was anything we could do to help her, and she just said that she’d had a car accident and she was fine – that she didn’t need any help,” the neighbor said. According to the neighbor, the couple appeared to be well off. “They have close to 15 cars… from a Porsche, to Hondas to BMWs, and they also have a trucking business down the street where they have a couple of big rigs. And I believe they have a Taxi service that they are running out of one of the other homes in another neighborhood,” the neighbor said. If convicted as charged, both defendants face a possible maximum sentence of life in state prison. The case remains under investigation by the Sheriff’s Department, Lancaster Station.